A master’s degree in gerontology can open doors to an exciting career where you can work with the elderly in a variety of capacities. You can enter the field as a nurse, an administrator or a policy maker. You can work with long-term care patients and chronic diseases such as Alzheimer’s Disease, or find work with elderly who are healthy, active and mentally inquisitive. The following list of job sites for geriatric care managers offers all those types of jobs and environments. Search through specific job boards, larger job sites, elder care facilities or organizations that speak specifically to people who want to work with the elderly. Alternative Solutions in Long Term Care: This board, provided by the National Council of Certified Dementia Practitioners, lists job openings in long term care facilities from around the country. American Geriatrics Society: The American Geriatrics Society provides a listing of geriatrics health care professionals job openings. Assisted Living Federation of America: ALFA educates federal and state policymakers about the assisted living philosophy and advocates for public policy that advances quality of life for seniors. Membership includes senior living executives and senior living professionals. The Career Center allows you to post an anonymous resume, access the newest jobs available, and create job alerts so that matching job opportunities don’t pass you by. Case Manager Jobs: This job board lists many geriatric care manager jobs. Geriatric Careers: Geriatric Careers covers over 5,000 companies, and you can search thousands of geriatric jobs by city, state, and type of job. Geriatric Jobs: A job board limited strictly to U.S. jobs in the geriatric field. Nursezone.com: The Job Center provides a job search function by discipline, specialty, and state for geriatric care managers who are also nurses. Senior Care Solutions Online: This national provider of geriatric care management services is looking recruit individuals to perform as independent contractors. The Social Work Career Center: A place for employers to list jobs and for geriatric care managers who are also social workers to post their resumes. AOL Geriatric Care Manager Jobs: Job board with many geriatric care manager listings. Beyond Geriatric Care Manager Jobs: Claiming to be the “largest network of niche career communities” on the internet, Beyond essentially hooks together different organizations all in one place. Career Jet: This link leads to a job board with lots of listings for geriatric care managers. Careers.org: Job board with many listings for geriatric care managers. Glassdoor Geriatric Care Manager Jobs: Lists many job openings for geriatric care managers. Hound: Hound’s search engine shows jobs from employer websites only, cutting out duplicate listings and showing opportunities that are not posted on other job boards. Indeed: With many geriatric care manager listings, Indeed works as an aggregator for listings from major job websites, company websites, associations, and other online sources. Jobs.com: Lists some geriatric care manager job openings. Search by job and location, or post your resume. Juju: Job search engine with many geriatric care manager listings with related job searches. Just Jobs: Job search site with a few geriatric care manager job listings in the U.S.
Monster Geriatric Care Manager: In addition to being arguably the best known global job listings site, Monster also offers advice on resumes, interviewing, and salary information. Some geriatric care manager jobs are listed, and the site allows posting of resumes. Simply Hired: Aggregates listings from major job Web sites, newspapers, company websites, and associations; allows users to send their resumes out for posting on five other sites for free; includes a multitude of geriatric care manager job openings. Trovix: Trovix makes the job search process more personalized by asking users to input their work experience and qualifications so that the site can match results to that information. An innovative Job Map allows you to see on Google Maps how many jobs are available in your area. Wanted.com: Job search site with a couple of geriatric care manager job listings. A Place for Mom: Lists nursing homes, assisted living, Alzheimer’s care, retirement communities, home care, and other senior care options. Assisted Living Online: Lists assisted living and senior housing communities from across the U.S.
Caring.com: Provides extensive lists of home healthcare agencies, adult day care centers, assisted living facilities, nursing homes, continuing care communities, Alzheimer’s care facilities, and hospice services. Health Fit ABC: Provides a “Senior Healthcare Management on Health Directory” of a few assisted living facilities and nursing homes, and healthcare management firms in limited areas of the country. National Care Planning Council: Provides a directory to look up elder care services such as adult day care, Alzheimer’s facilities and care, and assisted living facilities and care by state. 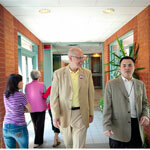 Senior Housing by Eldernet: Provides a listing of assisted living facilities by state. 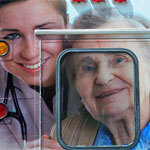 Senior Mag: Provides a list of home healthcare agencies by state. American Association of Homecare: Represents health care providers, equipment manufacturers, and other organizations in the home care community, and works to strengthen access to care for those who require medical care in their homes. National Academy of Elder Law Attorneys: Provides support to other organizations serving seniors and people with disabilities; also examines and advocates on public policy issues facing seniors and people with special needs. National Association of Professional Geriatric Care Managers: Provides a list of healthcare and assisted living facilities and home care agencies, and is an invaluable resource for everything and anything having to do with geriatric care managers. National Alliance for Caregiving: A non-profit coalition of national organizations focusing on issues of family care giving whose members include grassroots organizations, professional associations, service organizations, disease-specific organizations, a government agency, and corporations.